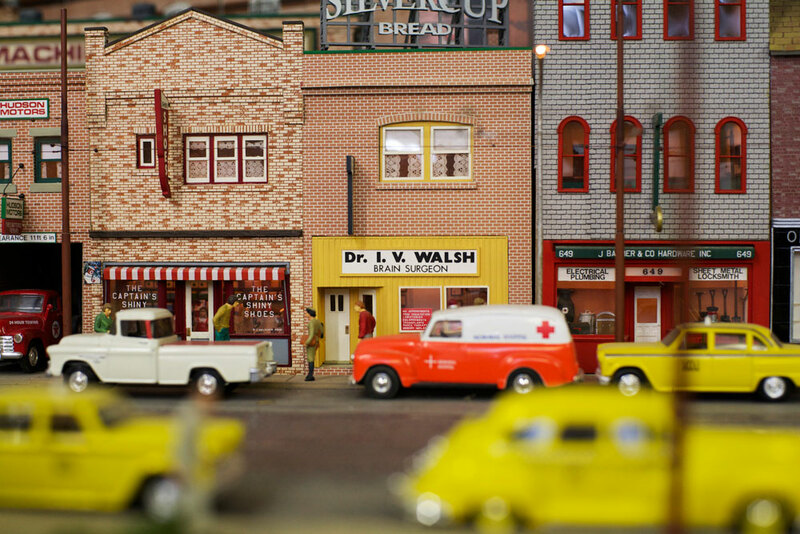 Hilda Walsh has a small city in her Toronto basement. Partially blind, her husband Ivor worked for more than 20 years on a detailed, miniature replica of his favourite Boston streetcar line. Now she is left wondering what to do with it. Over a decade after Ivor Walsh’s death, his wife and fellow hobby modellers remember a man with an obsession and a gift. Celebrating one man’s unseen legacy, this short film taking us down the tiny tracks he left behind. Over a decade after Ivor Walsh’s death, his wife and fellow hobby modellers remember a man with an obsession and a gift. Celebrating one man’s unseen legacy, this short film takes us down the tiny tracks he left behind.